THERE WAS nothing right about the sterilisation camp held on November 8 in Chhattisgarh’s Takhatpur block of Bilaspur district. An overambitious government doctor—with unsterilised equipment and virtually no manpower—set out to conduct laparoscopic tubectomy on 83 women in an abandoned private hospital. The mass sterilisation led to the death of 13 women and left others critically ill. They were admitted for treatment in the Chhattisgarh Institute of Medical Sciences, Bilaspur district hospital and Apollo hospital. The doctor who conducted the surgeries, R K Gupta, was not just ill-equipped but also in a rush to complete the surgeries. He took just five hours to perform the 83 surgeries—spending less than four minutes on each patient. A senior official, who is part of the Chhattisgarh government’s sterilisation campaign, points out that the laparoscope and other equipment need to be disinfected each time before use. “Laparoscope tubes require high-level of disinfection, which is achieved by immersing the device in a disinfectant solution for 20 minutes. Hence, the time taken for each surgery has to be more than that.” This means that Gupta, who had just one laparoscope, conducted the surgeries without taking due precaution. This is especially unsettling because he was given an award by the state government this Republic Day for performing 50,000 sterilisation procedures in his career. The camp where the surgeries were held also violated every guideline spelt out by the Union Ministry of Health and Family Welfare (MoHFW) under the standards for female and male sterilisation in October 1999. The guidelines put a cap of 30 operations a day in a camp if two separate laparoscope instruments are used. They also make it mandatory that the camp be organised at a government facility and place a ceiling of maximum 10 sterilisations by a doctor in a day. The Supreme Court has also reiterated these guidelines in its judgements in Ramakant Rai v Government of India, 2003, and Devika Biswas v Government of India, 2012. The judgements emphasised on the need to follow uniform procedures for sterilisation in the country. The 2003 petition was disposed of after the Centre assured the court that the guidelines were in place. In the 2012 petition, activist Devika Biswas pointed out the urgent need for an independent organisation to investigate nationwide compliance with the 1999 guidelines. The petition was filed after a private doctor conducted a sterilisation camp at a government school at night in Bihar in January 2012. The doctor had allegedly sterilised 53 Scheduled Caste women under torchlight. Gupta performed the operations single-handedly with a single laparoscope instrument at a private hospital—the Nemi Chand Jain hospital, 8 km from Bilaspur city. What’s more, the private hospital had been shut since April and lacked basic infrastructure. “There are several good community health centres in the region. Any of them could have been chosen. The decision to choose a dysfunctional private hospital shows how lightly government doctors take the masses,” says Yogesh Jain, coordinator, Jan Swasthya Sahyog, a non-profit working on public health in the rural and tribal areas of Bilaspur. The authorities have, however, put the blame on spurious antibiotics. Initial reports suggest that the antibiotics that were administered to the women at the camp contained zinc phosphide, a chemical used in rat poison. “Zinc phosphide leads to suicidal tendencies and can also cause death if given in high quantities,” says Atul Gogia, internal medicine specialist at Sir Gangaram Hospital in New Delhi. The district administration has sent the samples of the antibiotics, which were manufactured by Chhattisgarh-based Mahawar Pharmaceuticals, to the Central Drugs Testing Laboratory at Kolkata. The reports are awaited. One of the main reasons for the bizarre mass surgeries by the government doctor is the mounting pressure from the Centre to increase sterilisation in the country. Talking to mediapersons, Gupta had admitted that he was under great pressure to meet sterilisation targets, a claim Union health minister J P Nadda has refuted. 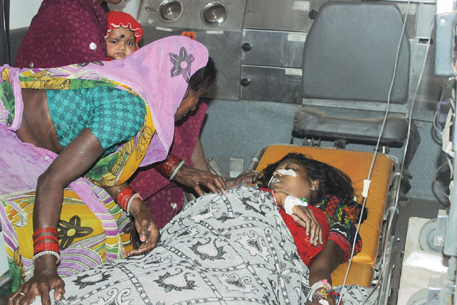 Nadda, days after the incident, claimed that sterilisation in India is not driven by targets but demand. However, a letter, a copy of which is in possession of Down To Earth, belies the claim. In the letter dated October 10, the National Rural Health Mission, under the aegis of MoHFW, says that family planning is crucial to meet Millennium Development Goals. Citing the Family Planning 2020 document, the letter explains that the recently computed global goals also underline the importance of sterilisation in family planning. As an incentive to popularise sterilisation, the letter had ordered an increase in compensation to those involved in sterilisation services in 11 high focus states—Uttar Pradesh, Bihar, Madhya Pradesh, Rajasthan, Chhattisgarh, Jharkhand, Uttarakhand, Odisha, Assam, Haryana and Gujarat. The ministry revised the September 2007 figures for compensation for sterilisation—from Rs 600 to Rs 1,400 for each woman who undergoes the procedure, and from Rs 75 to Rs 150 for the surgeon. 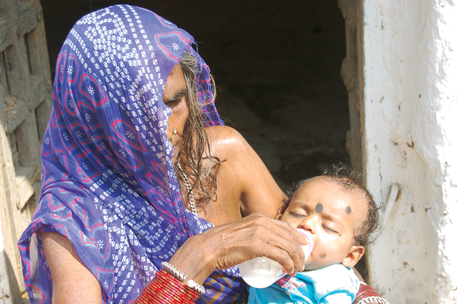 The budget for each sterilisation was doubled from Rs 1,000 to Rs 2,000. So conducting more surgeries translates into more monetary incentive and that could have been the reason for performing so many sterilisations in a single day. Gupta must have got Rs 12,450 from the killer camp. A recent statement by the Jan Swasthya Abhiyan (JSA), which is the India chapter of worldwide non-profit People’s Health Movement, said “the ‘camp method’ of sterilisation needs to be stopped with immediate effect as quality of care is seriously compromised in mass sterilisation programmes to meet targets.” It also demandedthat women and men need to be provided with safer contraception choices such as condoms and contraceptive pills. Health activists say the Centre’s obsession with sterilising women is fundamentally flawed. They too suggest the focus should shift to contraceptive options for males such as condoms because they are safer. “Men and women should be counselled before going for a birth control measure,” says Sulakshana Nandi, member of JSA. She points out that all birth control measures for women damage the body. “Sterilisation has its problems. Oral contraceptive pills also have side effects. Similarly, intrauterine devices have to be used hygienically. Thus, use of condoms is the best option as it does not compromise health. Vasectomy also has less danger for men than sterilisation has for women,” she adds. Health experts say that instead of forcing sterilisation on women, the Centre should initiate awareness camps to counsel couples about the benefits of family planning.